Managed VPS Hosting: Simple, Reliable, Fast. ALL VPS Hosting plans include new customer discount. Start a chat with Sales for details. Industry-leading control panel and Web Host Manager included free. Our redundant hardware clusters mean virtually no downtime. Have peace of mind knowing your client's sites are in good hands. All VPSs have high availability, Burstable RAM, Unlocked CPU Cores, and can be easily managed via cPanel/WHM. Seamlessly handle traffic spikes without downtime or errors with our Optimized Configurations. Select from WordPress, PHP, or Standard for advanced caching and pre-configured software. Never settle for slow load times. Speed up your store and get more sales with 100% SSD VPS Hosting, Optimized Configurations with advanced caching, and Unlocked CPU Cores. 90-Day Money Back Guarantee on multi-month plans. 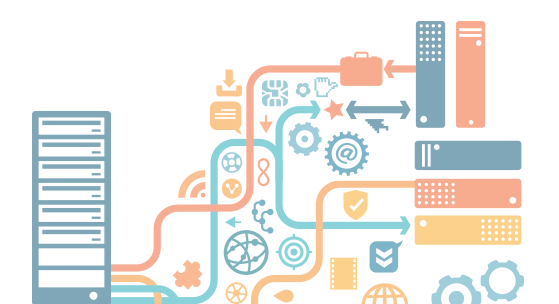 30 Free cPanel Website Migrations plus Launch Assist. InMotion Hosting is #1 in transfers for a reason. That's because we offer all the tools, speed, and security someone may need - and more. Our AutoSSL feature, powered by cPanel and Comodo, allows you to issue SNI SSLs for each and every website you host with us. Enable auto-renewal to have peace of mind knowing your websites stay secure for your visitors. Our VPS servers are also fully compatible with Let's Encrypt, although you'll have to install and manage it independently. Who uses VPS Hosting and what do they use it for ? Need High-Performance VPS Hosting for Clients or Applications? 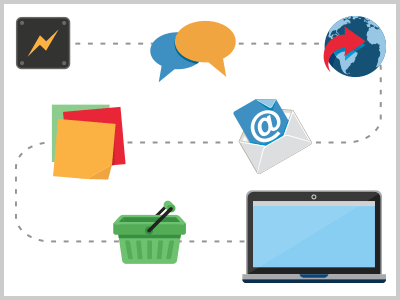 Finding fast, reliable hosting for your agency, eCommerce store, or business application can sometimes be difficult. That's why we've made a committment to offer VPS hosting that doesn't slow you down, get in your way, or hold you back. In fact, our cutting-edge technology, 24/7/365 U.S.-based Tech Support, and FREE Launch Assist is guaranteed to satisfy your VPS hosting needs - or your money back. Try us out for 90 days when you purchase a 6, 12, or 24-month plan! Leverage more server resources when you purchase a VPS-2000HA-S plan or above. More Available RAM, storage, and bandwidth give you the power and performance you need for your and your clients' websites to run quickly. Looking to transfer to InMotion VPS Hosting? If you are having issues with your current host, we can help you with the migration! Today's broadband connections demand faster and more reliable performance from your web site and email. With an InMotion Hosting VPS account you'll have access to the fastest Gigabit network available. Our network was specifically built to be expandable for capacity and for throughput. Our all Gigabit server farm is connected to the Internet through 3 separate providers with an on demand capacity exceeding 7,500 MBits. 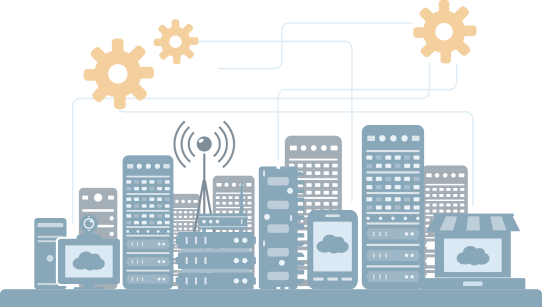 We utilize BGP4 Smart Routing and can switch instantly and transparently away from any of our providers that are experiencing latency or downtime. Our advanced knowledge and planning allow us to provide extremely fast and reliable service while still offering affordable hosting on our virtual private servers. Our Virtual Private Servers come provisioned with LAMP Stack, including CentOS 7.3, Apache 2.4.25, MySQL 5.6.35, and PHP 5.6.30 (with PHP 7.0 and 7.1 available by request). You are, however, empowered to make alterations to your server stack using root access (available by request), and can make edits to the default configuration, such as implementing NGINX, changing the default MySQL version, using PostgreSQL, adding caching/varnish layers, etc. If you don't feel comfortable changing your stack on your own, you can utilize your 2 FREE hours of Launch Assist on sign up to have our System Administrators provision your stack exactly the way you want it. Values represent maximum available RAM accessible for a given VPS S-Class plan. During low-traffic periods when your partition requires a lower level of resources, allocated RAM may be lower (1.5GB for VPS-1000HA-S, 3GB for VPS-2000HA-S and 6GB for VPS-3000HA-S). Burstable RAM will be available during times of need for increased resources. InMotion Hosting leads the industry with its cutting-edge VPS technology. We now offer 3 pre-built, website optimized, 1-Click Configurations you can choose from at checkout: WordPress, PHP, and Standard. Choose the configuration that best fits the types of websites and applications you'll run on your VPS and it'll transform your server response time, from what was slow and sluggish on a competitor's plan to almost instant on our servers. Not only do you get FREE cPanel/WHM, FREE server management, burstable RAM, unlocked CPUs, 3X data replication, live-state and scheduled snapshots, but now you get 1-Click performance tuning as well. At the end of the day, we know that your site’s success is dependent on it being up and running. InMotion Hosting’s highly-available VPS plans combine the highest-quality servers with an infrastructure of redundant hardware clusters that makes sure your downtime is minimized. This new feature also allows us to provide routine server maintenance, including security patches, operating system updates and more without affecting any of the sites on your server. Spend less time fighting hosting fires and wondering why your site is down and more time on the bottom line: growing your business. InMotion Hosting is unique in how we handle CPU Cores for our fleet of Virtual Private Servers. Rather than locking you down to one or two cores for computational work, which only allows you to perform one task per core at a time, we have created an infrastructure that lets you spread these tasks across all available CPU cores. This gives you flexibility to keep your server working quickly and responsively while it performs multiple actions or computationally-demanding tasks. Launch Assist™ includes 2 hours of dedicated time with one of our T3 System Administrators and can be used upon purchase for a number of different practical applications, including site migrations, server security setup, email servers, application installation, CRON automation, hardware configurations and much more. For a limited time, all VPS Hosting customers receive Launch Assist™ as a part of their purchase. Increase your redundancy with VPS snapshots. We now offer two kinds of VPS snapshots: Live-State and Scheduled. While both are used to create full container backup of your Virtual Private Server as a failsafe to roll back to in case of any issues, Live-State Snapshots are meant as an on-demand feature while Scheduled Snapshots can create a snapshot up to once a day! Whether it's an operating system or programming language update/upgrade, or for something as simple as a single website edit, our snapshot features enable you to go back in time and revert your container to the exact state it was in when you took the snapshot, including technology versions, content, and even live processes. Included IP addresses are provided for free but on an as needed basis. ARIN rules require actual usage of an IP address so you must submit the domain name associated with any additional requests. Additional IP addresses above what is included are available - please call our sales staff for pricing depending on number of IPs required. Limitations apply and this is no guarantee of availability. This allows you to have multiple websites hosted under one account - with separate domain names for each one. AutoSSL is available for free and can be installed using WHM in cPanel. You can use this tool to issue Domain Validated SSLs through Comodo at no additional charge. If you require a different type of SSL you can purchase a 3rd party SSL and install it directly or have us install it for you. SNI is enabled so you can use a single IP to support multiple SSLs. PHP 7 boasts 2-3x speed improvement for your websites compared to previous versions. By using PHP 7 your code will execute faster and require fewer resources to serve to the same amount of users. Don't get stuck with a host that slows your website down with older PHP versions! The Resource Monitoring Dashboard provides you a number of charts and graphs to monitor the resource usage and allocation on your VPS partition. Track RAM, Disk Space, Bandwidth and CPU all from within your Account Management Panel (AMP). Virtual Private Server Hosting or VPS Hosting is essentially a dedicated server within a shared hosting environment. With VPS Hosting, each customer can run their own virtualized operating system within a partition of a dedicated server. Even though multiple customers are on the same physical machine, VPS Hosting allows each customer's account/website to have all the capabilities of being on their own separate machine. This type of hosting offers advanced performance and flexibility with the ability to customize at an affordable price. What does high-availability mean for me? InMotion Hosting’s Virtual Private Servers now combine the power and performance of our classic VPS Hosting plans with perpetual availability of the cloud. Our new and improved infrastructure is setup with a network of clusters in a virtualized environment, each of which contain a number of different highly available servers. These clusters all contain redundant hardware, so if your node fails for any reason, all of your data and files will be safeguarded, and your partition will spin up instantaneously on a different node. Essentially, you receive cloud-like real-time redundancy for your partition. Although multiple VPS accounts are hosted on one physical server, we can run several different virtualized operating systems on that one server. Each of these operating systems will perform as if it was on its own dedicated server, giving you all of the benefits at a fraction of the cost. InMotion Hosting uses Parallels Virtuozzo Container to virtualize the operating system. We pride ourselves on giving you the tools that help your business grow and keep your website online. That's why we developed and expanded our snapshots. We now offer two types of snapshots: Live-State and Scheduled. While both provide you with the convenience of easily creating an identical copy of your VPS partition, Live-State Snapshots are meant to be used on-demand while Scheduled Snapshots can be set to capture a snapshot up to once a day. Use snapshots to create an exact copy in real time, or on an ongoing basis, to revert to should anything unexpected happen when trying to make changes in a development environment. What additional features come with a Virtual Private Server at InMotion Hosting? InMotion Hosting’s Virtual Private Server Hosting comes with a number of additional features including high-availability, Live-State and Scheduled snapshots, resource monitoring, free solid-state drives (SSDs), a free full cPanel license, 2-3 free dedicated IP addresses, WHM, CentOS, burstable RAM, automated data backups, unlimited MySQL databases, email accounts and FTP accounts, root access and SSH access. Will speed or storage be affected by other people on the same server? No. Unlike Shared Hosting, where all accounts share the same available resources with all the other accounts on the server, VPS hosting gives you your own dedicated CPU, memory and disk space. Your site will not be affected by other users on the same server. What type of hardware will my virtual private server be hosted on at InMotion Hosting? All of our Virtual Private Servers run on enterprise factory built and tested hardware from Dell. They are connected to our core router via 20 Gb per second LAG, allowing for low latencies and high speed access to the internet. What kind of support does InMotion Hosting provide with my Virtual Private Server? InMotion Hosting offers 24x7x365 support with all VPS Hosting plans. We take pride in providing the best customer support on the market, giving you access to our team of experts via telephone, email, chat or Knowledge Center. We also provide Managed Hosting for a nominal cost, providing you with a dedicated system administrator to help with any technical difficulties you may encounter while setting up or maintaining your Virtual Private Server. 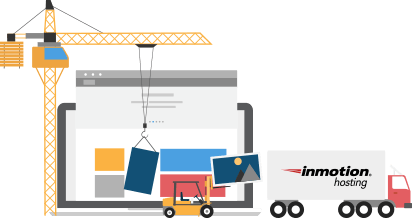 InMotion Hosting has a Managed Hosting team of system administrators trained to help customers with much more advanced customization, optimization and support. Launch Assist is 2 hours of Managed Hosting upon purchase of your VPS to help you configure your partition almost any way you want it. Normally, these two hours with our top tech guys costs $99, but all VPS Hosting customers receive it free as a part of their purchase. 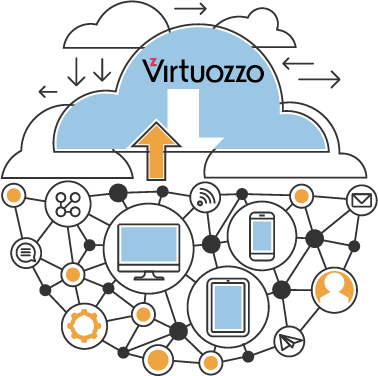 Powered by Virtuozzo, our cloud nodes are comprised of several servers that maintain multiple copies of your virtual private server data for redundancy and greater uptime. cPanel is a powerful Linux-based control panel that simplifies managing, configuring and automating your web server, making your life easier. Included with cPanel is Web Host Manager (WHM), which streamlines server management tasks and allows you to run a scalable online business. All of our VPS Hosting plans include a FREE cPanel / WHM license, meaning you get all of the power and functionality these tools have to offer, at no extra cost to you. Below are some of the ways cPanel + WHM can improve your web hosting experience. cPanel and WHM give you all the power you need when managing multiple sites, domains and clients. Create as many cPanel accounts as you need within WHM's account dashboard, assigning the cPanels to each respective property. Once set up and assigned, you can view usage, manage account stats, modify, upgrade or suspend accounts and much more. This allows you to manage your server exactly how you want it, including splitting your clients up for billing, resource and support purposes. For someone managing multiple properties, or even one big property, managing email accounts can be a hassle. cPanel makes this process much easier, allowing you to add email addresses, access your email via webmail, set up email clients and choose the default email account for your site. Our VPS Hosting accounts also allow you to create an unlimited number of email addresses on your cPanel account. 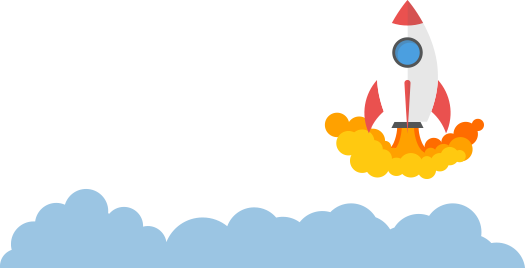 If you already have a number of clients hosted with various other cPanel-based hosts, our VPS Hosting plans all come with Launch Assist, 2 free hours of time with our System Administrators that can be used for migrating your sites. cPanel also has a powerful interface for transferring multiple accounts, providing you have root and SSH access to your current server. 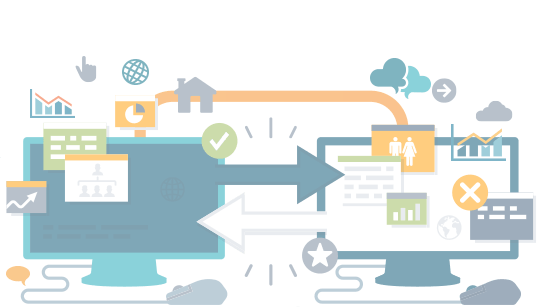 This transfer tool, which has step-by-step walkthrough and documentation on the cPanel site, was created to help designers, developers and agencies to quickly and easily move a number of accounts from one server to another. WHM's Backup Configuration section is one of the most powerful and vital tools for an administrator of multiple sites. It allows you to manage each of your individual cPanel backups separately, giving you the choice of backup cadence (daily, weekly, monthly and manually) and location. Preserving your clients business-critical files, data and site content is of the utmost importance. Work with your clients on implementing a backup schedule and location that is appropriate for their site(s) and make sure they have the peace of mind that their data and site material are safe. If you host or manage a number of different sites, cPanel and WHM provide you with all of the tools you need to manage and resell your VPS Hosting resources. As a Reseller, you can create multiple cPanel accounts, allocate resources and bill your clients, all within WHM's powerful Reseller interface. This feature is an all-in-one tool for designers, developers and agencies that host multiple clients with one account. There is a good chance that your company or the clients you are hosting will want to create their own custom nameservers for their properties, opting to use ns.yourdomainhere.com over a host-specific nameserver. Updating nameservers for domains is very simple within our Account Management Panel (AMP). If your domain is currently with another host/registrar, you also have the option of pointing the nameservers to ns1.inmotionhosting.com without transferring the domain to InMotion Hosting. Creating custom nameservers requires root access, which is available by request for all VPS Hosting plans. Not everybody is a server administrator, which is why our managed VPS servers and cPanel make server maintenance easier than ever. cPanel provides automatic updates for a myriad of deployable software, meaning you don't have to constantly monitor updates for your website(s). 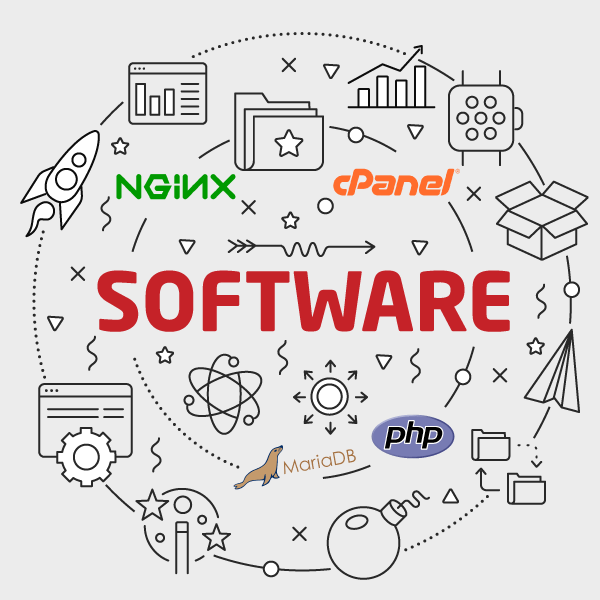 If you want to update your server software manually for integration and compatibility reasons, that capability is provided for you as well within the Server Configuration section of cPanel. InMotion VPS Hosting leads the pack. Your VPS plan will include an award-winning control panel, access to burstable resources, complimentary data backups, a custom firewall pre-installed and much more. Table comparing InMotion Hosting against other web hosts in areas such as custom service, tech support availability, money back guarantee and more"
Take snapshots while your VPS is running! Need A Powerful Way To Resell Hosting? Want Hands-On Control Without Software Bloat? Tired of waiting for your site to load when using other web hosts? WordPress Sites Now Handle 10X More Traffic: Perfect for WordPress users that want to handle more traffic. This configuration uses InMotion Hosting's advanced NGINX architecture and Advanced Caching Controls to increase your page load times. PHP Applications Run Faster with Less Resource Usage: Perfect for PHP websites that need incredibly fast script execution. This configuration caches and accelerates your scripts by taking the load off Apache and serving pre-fetched files to your users. High Performance LAMP Stack Made Easy: This option is included by default and is perfect for Shared Hosting customers upgrading to our VPS Hosting platform and suitable for most uses. Feel at home and have the same types of tools you know and love as you upgrade from Shared to VPS. Not sure if VPS Hosting is the solution for you? Start a conversation with one of our Linux hosting experts and they'll point you in the right direction.